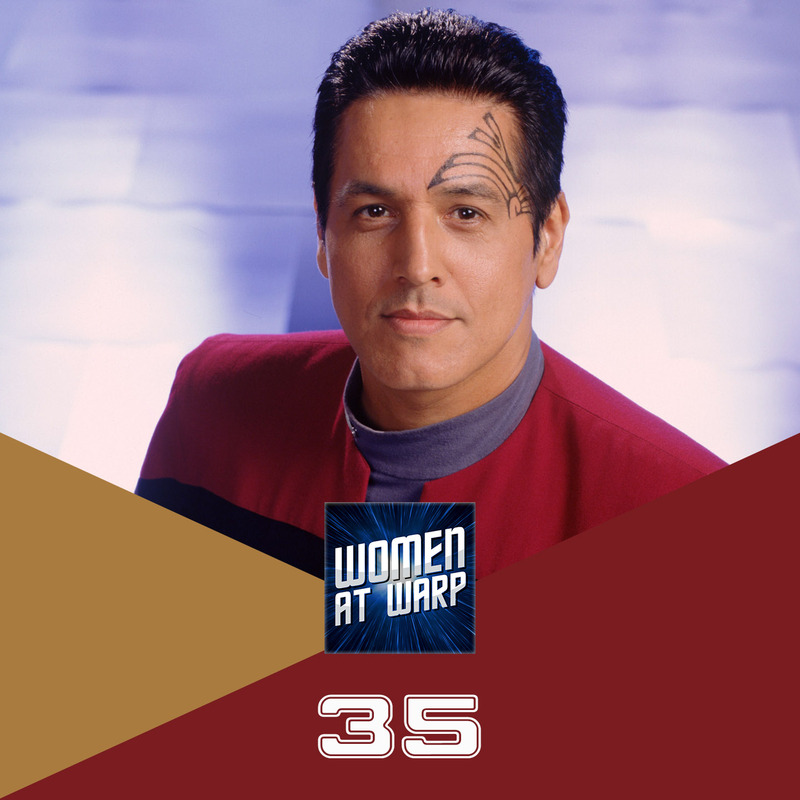 Which male characters in Star Trek do the best job working for equality and standing up against injustice? Forbes Associate Science Editor Alex Knapp joins us to talk about the meaning of allyship and the characters in the franchise who make the best allies. Excellent episode!! My favorite WAW episodes show me ways to examine my own opinions and behavior; this brought up so many great ideas and viewpoints. Thank you! It got me thinking: Yes, to be an ally of a group inherently means that you are not PART of that group, but I’ve sadly encountered women in my life or in the media who are not necessarily “allies” to other women. We women receiving the same societal training about our worth/emotions/stereotypes that men do, and it’s not unheard of for women to, thus, look down on other women in the same way some men do. Which brings me to the Voyager episode “Before And After,” where Kes is in temporal flux and moving backward through time. One of my favorite Janeway moments is when Kes eventually “jumps” to when she and Neelix arrived onboard; Neelix is giving his speech about why they should stay on Voyager and Kes interrupts to plead with the captain to help her urgent need to set up a bio-temporal chamber. Neelix is flustered and brushes Kes away, nervously saying something that’s basically, “pay no attention to this dumb woman,” but Janeway instead dismisses HIM and wants to listen to Kes. This was a huge moment for me as a viewer (and as a woman), seeing a woman immediately recognize another woman as having something important to say, and NOT defaulting to the man saying otherwise. HUGE FOR ME. Janeway was an ally to women in that moment, though “ally” is clearly the wrong word. What is the right word? Thanks again for another thought-provoking and entertaining episode! !